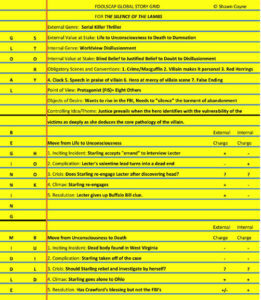 If you need to refer back to any abbreviations or other info from Part 1, you can find that here. 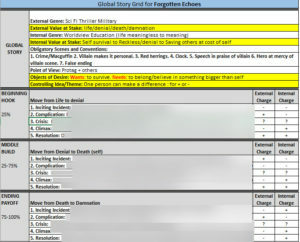 So I have my high level Global Story Grid filled out. Next up is taking a blank sheet of paper and starting some more scribbles. 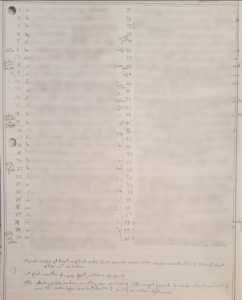 I ballpark it out with numbers 1 through 60 to put in a guesstimate for 60 chapters. I then start marking percentage points of where certain things should fall. This isn’t in stone (Obviously! It’s paper in pencil!) so I have wiggle room. If the first plot point hits a little earlier or later than the 25% mark, it’s not the end of the world. These are just rough mile markers so I don’t get lost in case my brain hits a fever pitch of thoughts for plot events. This is quite an intimidating piece of paper. I mean, the sucker is BLANK. So I start jotting things down where I THINK they will fall until I get some little blurb on each line. This is another one of those things that gets dragged around with me for weeks as I jot things down. Some parts are easier than others to fill out. Sometimes I know what will trigger the lull or second plot point to then set off the climax around 75%. Sometimes I know the ending and/or the beginning, and I have to sort out the middle parts. But ultimately, no writing on the laptop is taking place yet. This was a direct recommendation from AH that I reluctantly followed initially then later saw the huge benefits of it. So if you’re using Joel’s 12 sentences model, this is the same thing except Joel’s has far fewer lines. I just draft things out with 60 sentence fragments. A new thing I did on the most recent story was an attempt to organize some seriously scattered thoughts that I couldn’t track on my paper because I couldn’t “see” who was where. I had my characters split up and needed to keep track of who was where and doing what until I brought them all back together again. To remedy this I bought a pack of sticky notes and borrowed my brother’s dining room wall while I was visiting him. I had a field day of scribblies and sticking and moving things around. Each row is for a particular character and represents what is actively going on or perhaps happening behind the scenes while other crap is happening face up in the story. Thankfully the painting on the wall didn’t mind me working around it, and even better, I didn’t knock it off the wall. 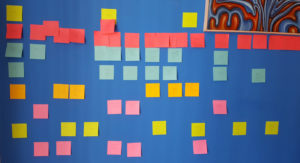 As I moved these stickies around I got a much better idea of what needed to happen and where in the story. 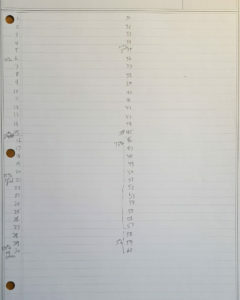 So I did more scribbles (and erasures) on the paper with the chapter numbers to finish filling that out. The giant chunks of blank space become less intimidating as each line is filled in. I’ll sit on this for a few days, letting it marinate in the brain pan in case something changes with a new idea or whatever. I know the images are blurred, and that is on purpose since this is for a book not yet written that is the follow up to Forgotten Echoes. No spoilers! Originally posted this and had a glitch in the matrix where it didn’t go out to the email list. So, trying this one again. I have mentioned in prior posts that I’ve changed my writing process up a bit, for the better. Since this “new process” means nothing to you if I don’t tell you what I’m doing differently, I am opting to elaborate. I’ll do a few posts to show you what kind of shenanigans I’m up to now when I start a new book. Since I’m close to the final wrap ups for the first book of the new trilogy completely unrelated to Burnt Mountain, now is a good time to show you the madness. For starters, a quickie cheat list of names as I move forward. I am including several links here that will take you away from my site should you choose to investigate them. This is probably a poor business model, but I don’t care. I’m happy to refer any other writers or aspiring writers to seek out the pros, because I don’t have anywhere near the volume of knowledge and experience these folks have. The next few posts are about my hybrid process that is a result of listening to the advice and experiences of these people and picking apart what worked for me. Firstly, the person that turned me to these resources and many more, author, book coach, friend, and great cook, Joel D Canfield. His site is here. SC = Shawn Coyne. Editor and the mind behind The Story Grid process which you can read ALL about here. SP = Steven Pressfield. Screenwriter, author, and mentor to other writers in the trenches. His site is here. SC and SP work together. AH = Art Holcomb. Screenwriter, author, and book coach. Gleaned some good tips from taking one of his courses. See his stuff here. LB = Larry Brooks. Pulitzer winning journalist, author, and book coach. Avidly promotes using story structure as a writing process (process, not formula!) over pantsing here. LB and AH work together. I have emailed with SC a few times and was one of the moderators on his forum for his website when the forum was running. I have done an 8-week online course and spoke on the phone with AH. I have worked with LB on a couple of occasions for story concept/premise analyses. And, I have worked with Joel as a book coach and mentor, still pester him from time to time on email and in the comments section of his website, and had the great privilege of meeting him and his family in person a few years ago when on a road trip to Wisconsin. I have not (yet) interacted with SP, but the common thread among these folks is still there: they’re all wicked nice. OK, into the process I have adopted that is a mish-mash of things taught by the five men mentioned above. (I have done readings of books, posts, and seminars from female writers and other male writers, but I resonate best with the ones mentioned above which is why my focus is there). As an editor, SC gets books after they’ve been written. He begins dissecting them from high level and drilling down to a microscopic level. AH recommends starting the writing process by figuring out ALL of the details first before typing one word. Both he and SP break a story down into 3 parts, as all screenwriters do, Act I, Act II, Act III. LB promotes knowing story structure first, knowing plot points and where they should fall in a story. He breaks stories down into percentages for locations in the story, but these still ultimately align with the 3-Act structure. Act I/Beginning Hook = the first 25%. Act II/Middle Build = 25-75%, and Act III/Ending Payoff = 75-100%. The details of first plot point, first pinch point (yes, they are different), point of no return which happens to be around 50%, second pinch point, etc. can be found on both his and Joel’s websites. Joel has a 12-sentences model that aligns with LB’s percentages. For me, step 1 is scribbling down thoughts/ideas, literally scrawled notes in my phone, an email, a sticky note, a note card, whatever I have on hand. These sometimes get transferred to more legible versions and are typed up as things start to solidify. This is when I start to bash out the concept and premise. LB has written volumes on the differences between the two. They’re NOT the same. Once I think I’m solidly onto something, I mimic the breakdown SC does of a story already written, except I begin building my new story FROM the high level. For me, it’s more like figuring out the basics of what I think I want to write. Sometimes I’ll also fill out Joel’s 12-sentences worksheets to make sure I have a solid grip on what is in my head. In the image above you can see how he starts breaking down the story. If you want the details around what each of the points for the Global Story parts mean, visit SC’s website. For me, I wanted to take that high level to get a general road map. Sort of like, if I want to make a cross-country drive across the US, let’s get a map of the entire US first. For the new book, Forgotten Echoes, this is my high level view. Yes, I’ve blurred part of the image so there aren’t any spoilers. Of course, I do mine in Excel. I’m a geek. What else did you expect? So I create the shell for this thing and print it out. I drag that piece of paper around with me for weeks and start scribbling on it in pencil. Once I have it sorted out, or think I do, I type it up so it’s nice and pretty, and I tape that sucker to the wall behind my laptop for quick reference. In Part 2’s post, I’ll cover what I did next. The last several weeks have been full of me trying out a few new things. I’m nothing if not curious. Amazon has a program called KDP (Kindle Direct Publishing) where you can enroll your book(s) for extra intra-Amazon marketing. The catch is you can’t have the book listed anywhere else, such as Smashwords. Since I used both Smashwords and Amazon, I never enrolled in the program. I decided to switch things up and pulled The Monster Within off Smashwords and enrolled it in KDP for 3 months. The results – nada. So it appears that their internal marketing isn’t all that they hype it to be. But I learned some more things about how Amazon works as a result. Win. 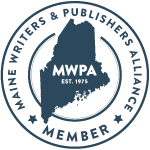 Based on the recommendation of another Maine writer, I joined the Maine Writers and Publishers Alliance. I still have to set up my author page with them and do some other stuff to have my profile listed, but I haven’t had a chance to do any of that yet. They offer some internal and external marketing, but again, no time to sort that out yet. Still, the correspondence I’ve been getting from them thus far has been nice and professional. Pretty sure this one will turn out to be a win too. I started David Mamet’s Master Class online and have been chipping away at that. It’s been really neat, and I’ve gotten some good nuggets out of the courses I’ve done thus far. I’ve also been re-reading The Story Grid by Shawn Coyne and always come away with something new I either didn’t pick up before or forgot. Yep, win. I recently read All Systems Red, a scifi novella by Martha Wells. I devoured this book in 3 nights, and it only took me that long because I forced myself to put it down and go to bed. I have since ordered the print version so I can re-read it. This is the first book in The Murderbot Diaries, and I can’t wait for the others coming out later this year. If you like scifi and don’t mind a few f-bombs in your reading, I recommend this one. Great book that will keep on giving. Bonus round: I went to Boston this weekend for the New England Book Festival to pick up my award for The Monster Within. So with all these great things there remains a persistent negative looming around the corner. I am STILL working on the house after 8 or 9 months of remodeling and painting. It’s such a time sink it’s obnoxious. I get cranky when I don’t get my usual doses of writing time. The good news I guess is that because I’m so sick of working on the house, I’m super motivated to get the damn thing finished so I can sell it and get it out of my hair that much sooner. Fingers crossed. I just realized it’s been over a month since my last post. Oops. Time, too often, zips right by on me. My weekends for the last few months have been consumed by juggling two big projects: finishing the first draft of the new book and destroying/putting the house back together. The house project continues on and seems endless. It’s not, but, crap, it sure seems like it. The book has gone well, and I wrapped up the first draft two weeks ago. I’m wicked excited for this new novel and shockingly enough, I’m not dreading the editing part of things. Normally I despise editing, but not this time. I took a couple of weekends away from writing/editing to just be away from the story for a bit and focus on the house. I’d planned to pick up editing after the holidays wrapped up, but I was getting antsy to start. So I worked on painting the living room yesterday and have started the dive into editing today. 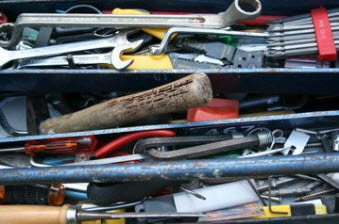 Like a house project, things are more easily done with the right tools. It’s been over a year since I took some kind of writing workshop, so I am signed up for an online course that I’ll start in Jan (unless I get antsy for that too and jump in early). The one I took last year with Art Holcomb was a 10 week run that was incredible. I used a lot of techniques from that course to write this newest story. By the time I sat down to start typing the thing out, I had the first draft completed in under 4 months. This is writing only on weekends and not every single weekend due to other life things that sometimes interfere. Oh, and the first draft comes in at 97K words which I never bothered to check until I was done. I’m shocked by both the timeline and word count myself. Sure, I’ve landed on a system that clearly works for me and works darn well, but I can always learn more, even if it is learning things that don’t work for me. So, I’m excited for the new course because I’m guaranteed to learn something new either way. Hope everyone has a great winter regardless of what holidays you do or don’t celebrate. We have snow on the ground in Maine, and I’ve gotten to take The Decimator (aka monster snowblower) out for a couple of runs. We’re both quite happy thus far this winter and ready for some good blizzard action.